10-Piece Cooking Tool Set Just $13.99! Down From $35! You are here: Home / Great Deals / Amazon Deals / 10-Piece Cooking Tool Set Just $13.99! Down From $35! 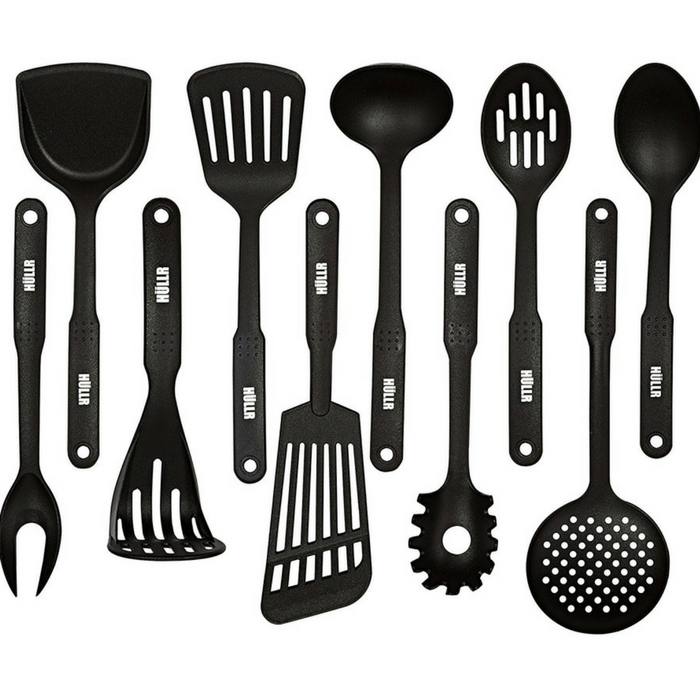 At Amazon, you can get this 10-Piece Cooking Tool Set for just $13.99 down from $34.99 PLUS FREE shipping with Amazon Prime or for orders over $25! Whether it’s for personal use or a gift item, this cooking tool set would be perfect! Heat Resistant & Dishwasher Safe – Nylon Utensils Heat Resistant Up to 400°F/ 210°C As Well As Dishwasher Safe.